Facebook/YETI It's been proven that YETI's coolers can stand up to bears, and while we're pretty sure they can probably handle zombies, too, the company isn't able to comment. The sun also rises, so it's been said. But here's a list of gadgets, gear, and provisions just in case, somehow, someday it doesn't. Here's for those people in your life who are always, perhaps obsessively, prepared for everything, even the apocalypse. We all rely on these people in one way or another in our day-to-day lives, but we may need to turn to them in a very big way, and we want them to be ready. After all, we still need to cook, eat, drink (water), sleep, and bathe, even in the presence of zombies, or afloat in a Waterworld of sorts, and there's no reason we can't do all those things well. We're not sure how well this will filter out toxic waste sludge, but Sawyer's filter and purifier will take care of just about anything short of it. 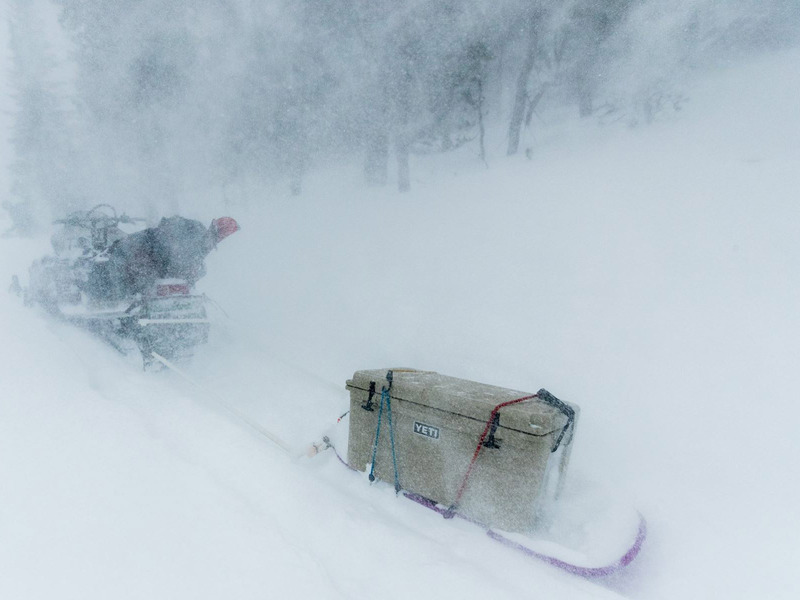 It's been proven that YETI's coolers can stand up to bears, and while we're pretty sure they can probably handle zombies, too, the company isn't able to comment. If there’s one thing hipsters have right (for the apocalypse, at least), it’s copious collections of Ball Jars, and, for good or ill, they may well outlive us all should things take a serious turn for the worse. Pro tip: buy brown glass, which preserves contents better and longer. It may be difficult to cop a charge for these things, but you'll probably want at least 12 of these bad boys. Writing as someone who likes to get lost in the dark, BioLite is far and away the best around these days, for comfort and battery life. If you're going to have a garden in the post-apocalyptic world, it may as well be a good one (if radioactive). Provided, of course, there's anything left to cook. Because even though the world may be ending, you still need to smell okay. Because we won't all live off raw meat when the stuff hits the fan. You may want more than a few of these, depending on how many mouths you plan on feeding, at least until those heirloom seeds start producing. Depending on what it's like out there, you may want to work on shoring up the homestead a little more, but this will keep you all dry until they can figure out how to zombie-proof the joint. Not that this kit will reverse the effects of any zombie bites, but it will take care of most incidental injuries. Not the tastiest stuff, but it will keep them going until they can secure some fresh grub. Having lots of towels may be a good idea. Doing dishes, drying off after a shower, wiping off zombie blood, etc. Privacy itself will likely become a hot commodity, but this little shelter will at least, hopefully, allow everyone to bathe and use the restroom in peace. No matter what they're trying to keep cold (or frozen), they may need this. Read our guide to the best mini fridges here. There may not be electricity, and fuel may be hard to come by for a gas- or diesel-powered generator, but here's hoping the sun still shines. Check out our guide to the best camping gear here. Yes, bathing will still be a thing after the apocalypse. We assure you. A little comfort-food rationing to bide time till things get a little more comfortable won't hurt. Lighters and matches don't last forever, and neither do these, but just a few of them should last a good while. Read our full guide to the best fire starters here. The definitive guide to any and all apocalyptic and survival scenarios.